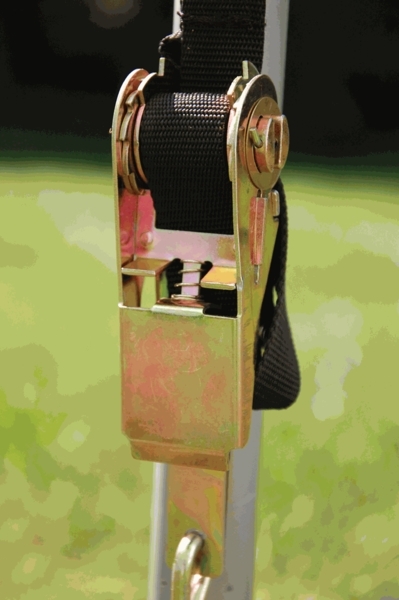 two (2) drill guide clips: 1 1/4" and 1 5/8"
This is the perfect system when you need to secure a portable garage, shed, canopy or other type of portable shelter. Webbing is attached to sturdy steel ratchet hooks. These hooks make sure you have a secure anchor to frame connection. The tightening process is streamlined with the plated metal ratchets and heavy webbing and hooks. The system works in any type of soil. The system can be installed by simply following the easy instructions.